A book show 'Magic of Black Square' dedicated to the 130th anniversary of Kasimir Malevich is featured through March 25, 2008 at the National Library of Belarus. This world-renowned founder of Suprematist and one of the originators of the Russian avant-garde and geometric Abstract art taught at the Vitebsk Art School (Belarus) in 1919-1922. Kasimir Malevich is one of the most brilliant innovators who founded new trends of the Modern art. 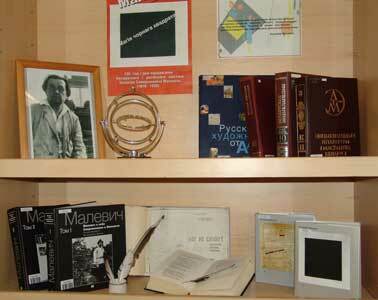 He is a world-famous theorist of avant-gardism and an initiator of a revolutionary artistic education. He established a new conception of Suprematism based on traditions of realism of the 19th century, Modernism, Impressionism, Symbolism, Neo-primitivism, Cubism and Futuristic realism. The exhibition sheds light on different areas of Malevich’s art. His creative works: painting, graphics, architecture, theatrical stage sceneries, applied arts and poetry fascinate the audience with lucidity of colors and magic of lines. 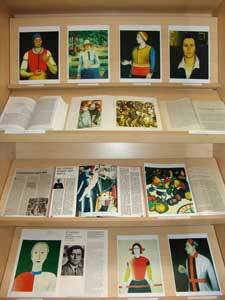 Over 150 of various mediums such as albums, books, and magazine and newspaper articles are displayed at the show. Based on information from the official website of the National Library of Belarus www.nlb.by.